Despite his significant contribution to photography Archer died in poverty aged 43 (as is now known), at 105 Great Russell Street, Bloomsbury on the 1st May 1857. He was buried in the family plot at Kensal Green Cemetery, London. A subscription list, the Archer Testimonial Fund, was established on 21st May 1857, by his friends Roger Fenton and John Mayall with other members of the Photographic Society of London, for the benefit of his family. This was followed shortly afterwards by the setting up of a formal Archer Testimonial committee under the chairmanship of the architect, Sir Matthew Digby Wyatt and the surgeon Jabez Hogg as its secretary; which met for the first time on the 8th June 1857. The report of the Archer Testimonial Committee published in the July of 1858, made the following observation: “When admiring the magnificent photographic prints which are now to be seen in almost every part of the civilised world, an involuntary sense of gratitude towards the discoverer of the collodion process must be experienced, and it cannot but be felt how much the world is indebted to Mr. Archer for having placed at its command the means by which such beautiful objects are presented. How many thousands amongst those who owe their means of subsistence to this process must have experienced such a feeling of gratitude? 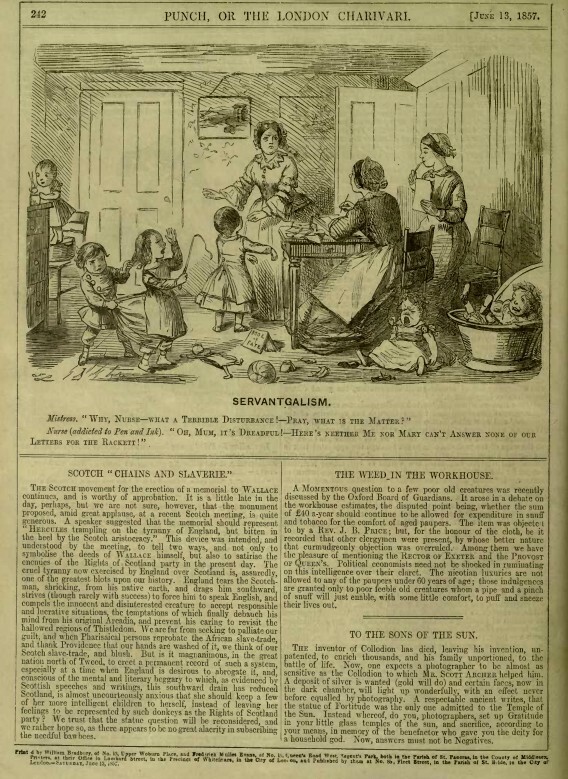 It is upon such considerations that the public have been, and still are, invited to assist in securing for the orphan children of the late Mr. Archer some fitting appreciation of the service which he rendered to science art, his country—nay, to the whole world.” The subscription was closed in August 1859 with just £767 collected. His three children were granted a pension of £50 from the Civil List due to their father's photographic discovery, which was noted at the time as having saved the Government some £30,000 in the production of Ordnance Survey maps alone. In September 2001 the George Eastman House, International Museum of Photography in collaboration with the photographers Mark and France Scully Osterman organized a conference and exhibition to mark the 150th Anniversary of Frederick Scott Archer’s discovery of the Wet Collodion Process. Sad to say this important event passed largely unnoticed by the photographic community in Britain. 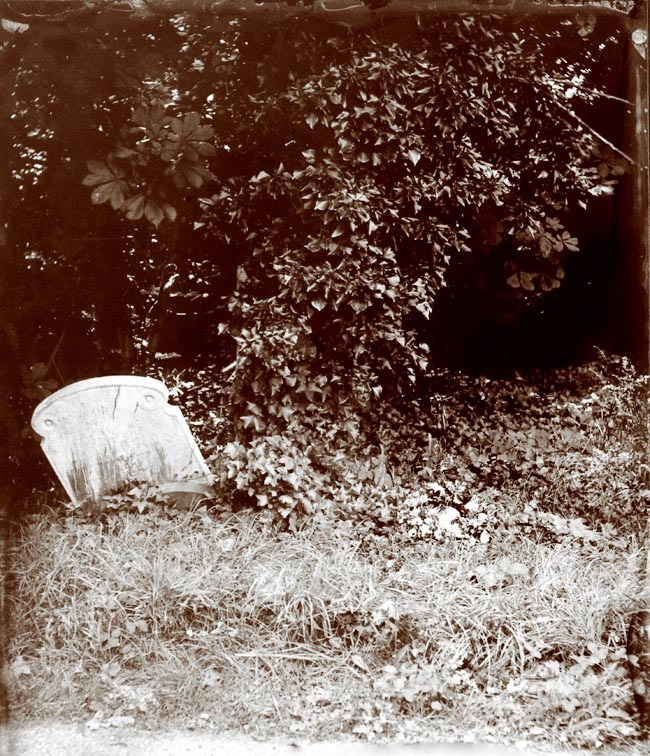 However Sean MacKenna did not forget this landmark in photographic history when in 2001 he placed a wreath on FSA’s unmarked grave in Kensal Green Cemetery; and took a Collodion image of the scene as a mark of respect for this now largely forgotten early photographic pioneer. On the 1st May 2010, the members of ‘The Collodion Collective' - i.e. Carl Radford, John Brewer and Quinn Jacobson, unveiled a marker near his grave. The original Archer family headstone was also discovered and reinstated by them. 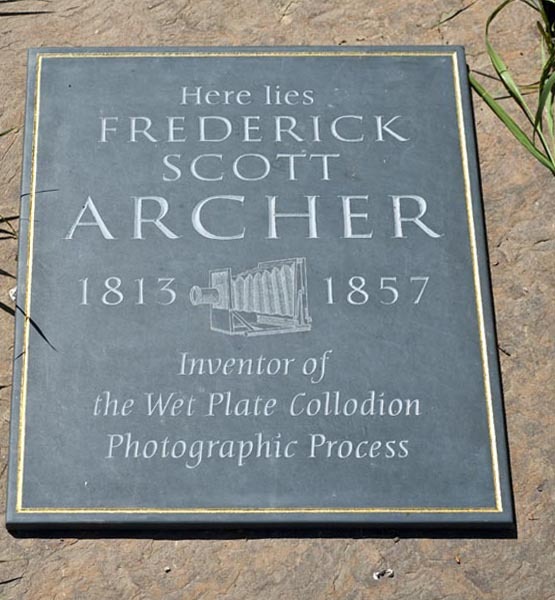 It is a tragedy that it has taken over 150 years after his death before Frederick Scott Archer’s grave was restored and a plaque placed to honour his memory.